That date is approaching very quickly. And that means you need to be ready for your first dance or even dancing during your reception party. That is okay, do not stress over it. Most of us are not professional dancers. Dancing in front of large crowds can be overwhelming. Relax, and remember this is supposed to be a fun experience. If you really are feeling overwhelming anxiety, then you should consider taking dance lessons. If you follow this simple guide it will provide you the skills necessary to find the best dance studio to meet your needs. First you have to decide what you are looking for out of the studio. Determine what level of skill you wish to acquire. It could be that you are just seeking basic skill to make it through your first dance, or maybe your looking to gain a little more to keep your crowd in awe during your reception. Regardless of what your taking the class for you need to decide what you are looking for. There are a number of sources that you can look at to come up with potential candidates to teach you to dance. You can use search engines simply type “dance studios near me” into the engine and you will gain a list of all studios near by. Usually you can also find reviews from former clients both good and bad. When you have three to five studios on your list, give them a call. Tell them exactly the skill you wish to gain, this will help them determine if they have a class for you. Talk about your schedule make sure they have something open to fit your availability. Discuss budget, be clear on how much you're willing to spend, if they cannot meet your wishes, then move on. There are other dance studios that can work with your budget and offer affordable lessons. Go visit the studios left on your list. Most studios invest most of their budget on hiring talented instructors and providing adequate classes. Some of the best dance studios look the worst. Ask to sit in on the class you are looking to take. Feel out the vibe. The instructor may be calm and patient, while others are strict and demanding. Neither are good or bad. It depends on how you learn best. 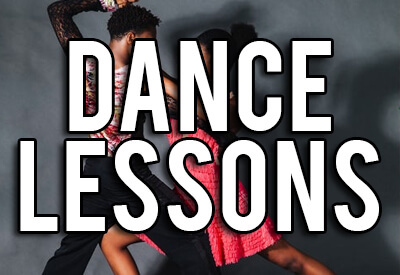 Once you have made your final decision sign up for your lessons and get ready to learn how to dance! Remember it is okay to make mistakes. Have fun, laugh dance, and make this night a memorable one. Dance lessons can provide you with the skills to be confident during your wedding reception. Atlanta has many outstanding dance studios to check out, you just need to find the one that fits you best.